I agree with you that the wage share is falling but it is not due to improper taxes. Rather it is due to inflation. Firms can pass along inflation but workers cannot. I have done extensive studies of the wage share – profit share dynamic. 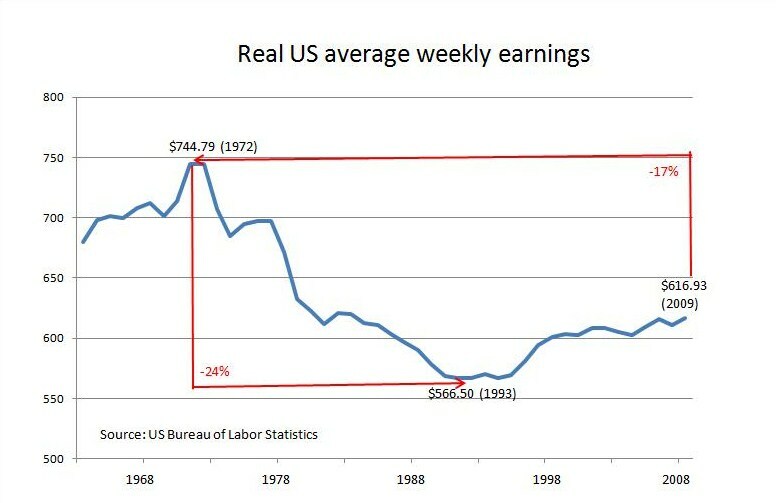 Inflation stealthily reduces the real wages. Ironically, inflation also promote high employment, but in low wage jobs. I have attempted to engage Steve Keen in a discussion of this but he is so committed to his Keynesian theology that he won’t even answer my claims. No, of course not. Go for it, Cameron. Some enjoyable stuff there on your blog, too. Do you mind if I link to your Riches of OZ article at my blog? Nice blog. I agree 100% that land taxes are the solution to so many economic problems. I discovered your site from your online opinion article (I have written similar thoughts at OLO here). Will definitley keep an eye on future posts. Good work.